Many people end their celebration of Christmas on December 25, but George Donigian reminds us that the celebration is only beginning. Donigian offers meditations that begin with Advent and continue through Epiphany (January 6), also known as the 12th night of Christmas. 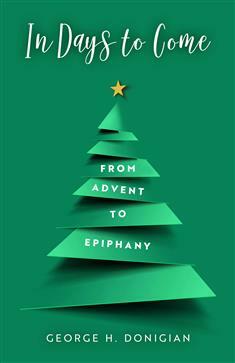 Like the surprises of an Advent calendar, the meditations touch on many subjects. Some topics include "An Editor," "A Counting Song," "Prudence," and "Chrismons." Instead of putting away your nativity scenes and other Christmas decorations on December 25, celebrate all the days to come. In Days to Come offers devotional meditations based on a merger of several Christmas traditions: Advent calendars, ancient Advent prayers known as the "O Antiphons," the traditional celebration of Christmas on December 25, and the Armenian Orthodox celebration of Christmas on January 6. The meditations—4 per week—count down from the first week of Advent to Epiphany. While each reading stands alone, the meditations are rooted in a weekly theme. Donigian's writing style is conversational, and given his diverse interests, the conversation ranges widely. In Days to Come encourages us to move with the Incarnation of Jesus Christ into the new year and into mission and ministry.